It has been a long time coming for another post, although I seem to always be behind the eight ball for posting about my flying life it doesn’t come without an excuse…. I WAS FLYING! Now that we have that out of the way lets get down to the nuts and bolts of my flying life lately. Some would say it is pretty active, and I guess I will agree with that. I fly about two or three times a week and two of those are instrument flying lessons. Flying for me lately has started to become a part of my weekly routine, and for any pilot that is training that is a good thing to have. For the longest time flying was but a thing I got to do here and there, and it wasn’t as regimental and pure as it is now. With flying, comes a lot of material you are expected to know and be able to do. With that kind of responsibility I think it is crucial to consistently keep up to par with flying, flying more than once a week keeps me on par! As for my instrument training, well it is a whole bucket full of adjectives. From fun, to challenging, to throw-my-foggles-on-the-floor-when-I-get-home-in-frustration mad, all of these feelings go through my head right now. Although it truly is my favorite type of flying, it is by far the most intense training and knowledge base I have ever had to learn. All of the whining aside, I really love the training I am receiving right now and can thank my instructor for that and the airport and flying services. I would say from this point that although I grew up in the Cessna 172, I have fallen in love with a new airplane, the Piper Warrior II I fly now! It handles so nicely, flies so smooth and easily, and I love the old gauges and the nostalgia of an old airplane. 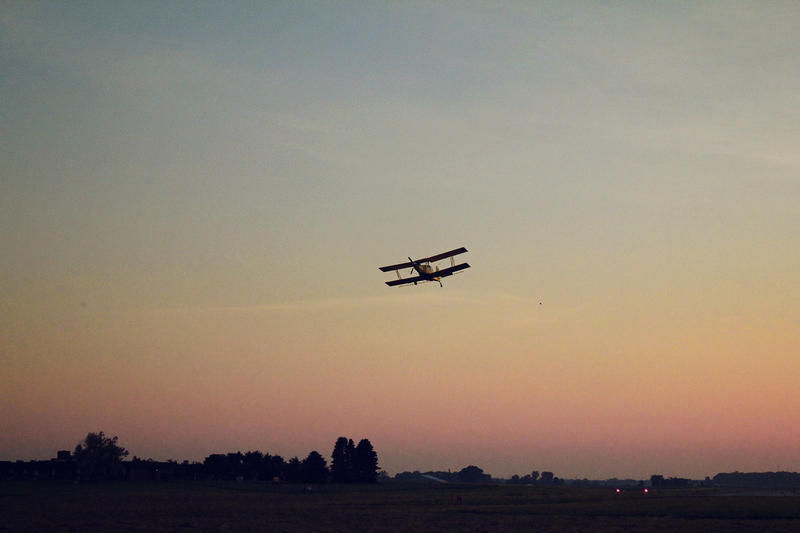 As for learning instrument flying in it, It is wonderful. I have to visualize what I am doing more now than I did in the G1000 cockpit. This will not only makes me a better instrument pilot, but a better overall pilot in result. Here I will list a few things I have practiced for instrument flying, and if any pilots or students have an questions about anything please feel free to email me a random question. And if I have the knowledge I will try to help you out as best as I can! – I have done ADF work and comprehend the use of it, although it is a dying art form. Although instrument flying is about 75% of my focus right now, there’s still is the fun general flying percentage I would like to do and I am getting ready to do so. I currently just opened our flight club at my home airport and we are quickly gaining members and interest. We have a 3-airplane hangar and currently have a Cessna 150 and a Beechcraft Bonanza up for member rental. It should be a lot of fun to get members joining, hold events, and fly for the fun of flying. Although it is a lot of work to get a club like this going we hope to bring aviation back to our area of Ohio again. Although many aviation flight schools, club, and organizations have had to close doors in this troubling economy, we believe our idea for the club and how we will run it will provide a flourishing opportunity for local pilots to fly for cheap and enjoy what once was a wonderful cheap hobby. Yesterday I went to the hangar to get the C150 ready for renting, and boy were the tires low. So first thing was first, I took out the air compressor and blew up the tires to flying order. Then I checked the oil to make sure there was plenty, and there was. After that I turned it on started it up and taxied it to get fuel. Now it is sitting in the hangar waiting for pilots to come. The saying “If you build it, they will come” sure better be true! Now it is an advertising, word of mouth, waiting game. I promise more pictures with posts after this one, I like to do photography with each post and I have been to busy to do both. With my life slowing down and being a little less busy lately YOU better expect more creative posts and other various things in the end. Other than that, I am back to my blog and hope to provide you with a little reading material while on the toilet, while you eat breakfast, or at your work (hopefully waiting for your airplane in a terminal with a pilot uniform on)! Get up, Get out, and Go out there and fly! Instrument Training with ADF and Flight Club Talk Why weather, oh why?